May Fair 6th May - HELP NEEDED! The organising of the Lions May Fair on the 6th May is gathering pace and we would welcome some help between 10am and 3pm. There are plenty of tasks to be done so please let us know if you fancy helping out for an hour or so - or more if you like! Visit our May Fair page for details. or visit our Sports Coaching page for details. 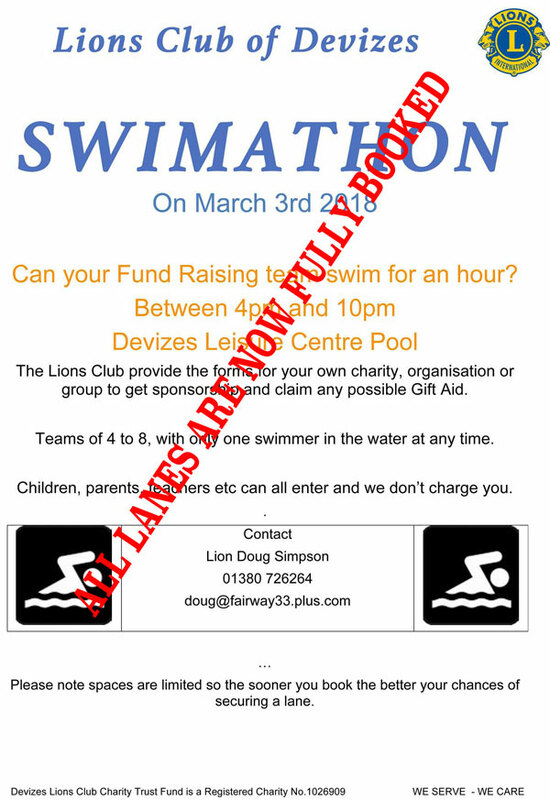 Devizes Lions' Swimathon on 02 March raised over £3600. Devizes Lions collected £470 at Morrison's on Thursday 28 February for the Marie Curie Great Daffodil Appeal. 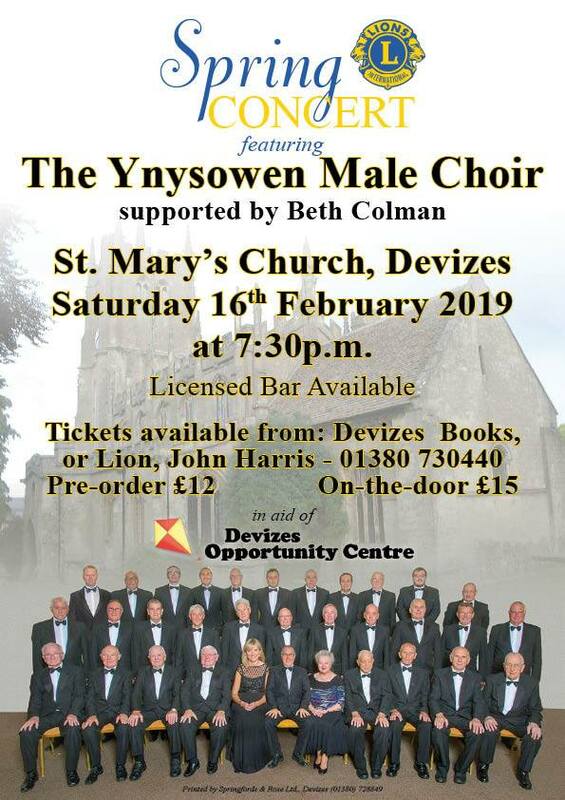 The Charity Concert featuring the Ynysowen Male Voice Choir on Saturday 16th February 2019 raised £2000 for Devizes Opportunity Centre. Lions are here to help society and each member of that society; our motto is "We Serve". 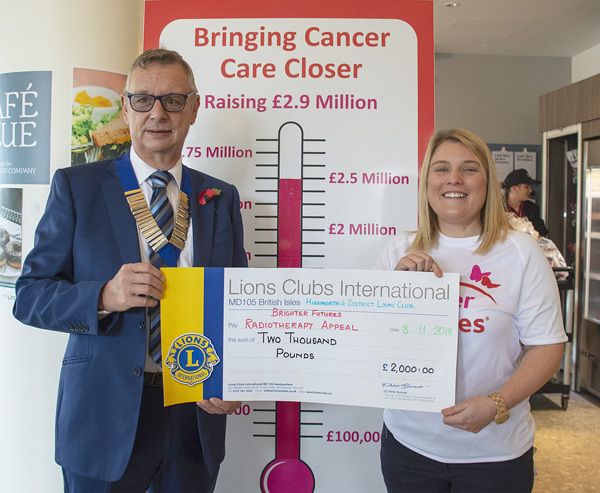 Devizes Lions organise and participate in many community activities and with the support of the local community we have raised many thousands of pounds to help support local people and various charities. Use this website to find out more about what we do. Would you like to be part of the action? click here: Who are Devizes Lions? find out more here or visit our Sports Coaching page for details. Devizes Lions and Devizes Rotary will be holding a Joint Charity Golf Day in aid of Dorothy House on the 8th May 2019. Make a note in your diaries. Taster sessions for Primary School children in Year Groups 4, 5 & 6 from the Devizes area in various artistic activities. Visit our Calendar for a full list of our forthcoming events. If you would like to help us help others, don't delay, contact us now. To find out more, click here: Who are Devizes Lions? 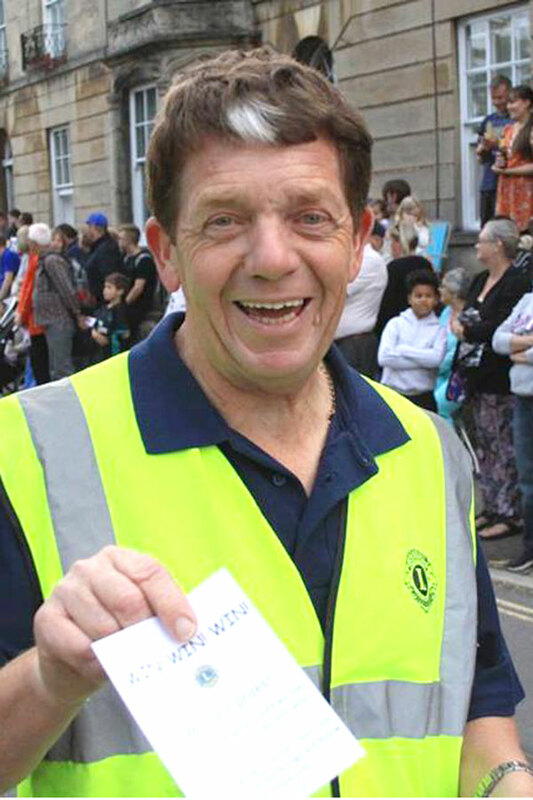 Devizes Lions are dedicated to helping the people of Devizes and those in the areas surrounding the town. If your organisation or group is in need of help and you think we can assist, please visit our Contacts Page and get in touch now. 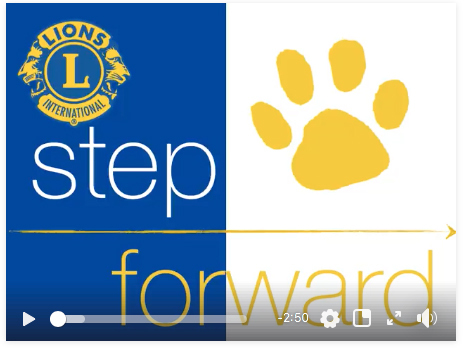 With the support of the local community Devizes Lions have raised many thousands of pounds to help support local people and various charities. Whether a group needing funds, a community action group or just someone seeking help, Devizes Lions try to make the problem smaller. 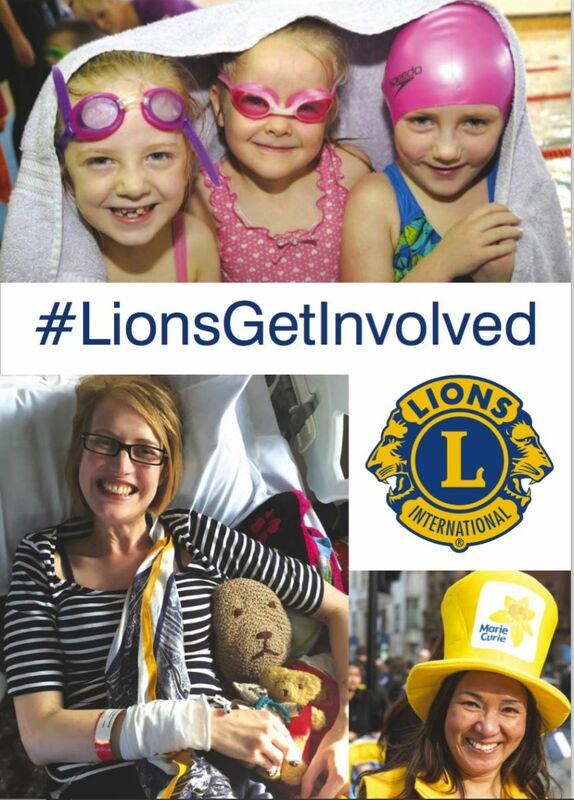 During a typical year Devizes Lions raise funds through a variety of events, sales, collections and concerts, and distributes around £30,000 to worthwhile causes, including local individuals, families and groups that have approached us when in need of support. In addition, we have enabled groups to raise their own funds through our popular Sponsored Walk and Swimathon, and we provide around 500 local children with new sporting experiences over our Sports Coaching Weekend. It's not all hard work! 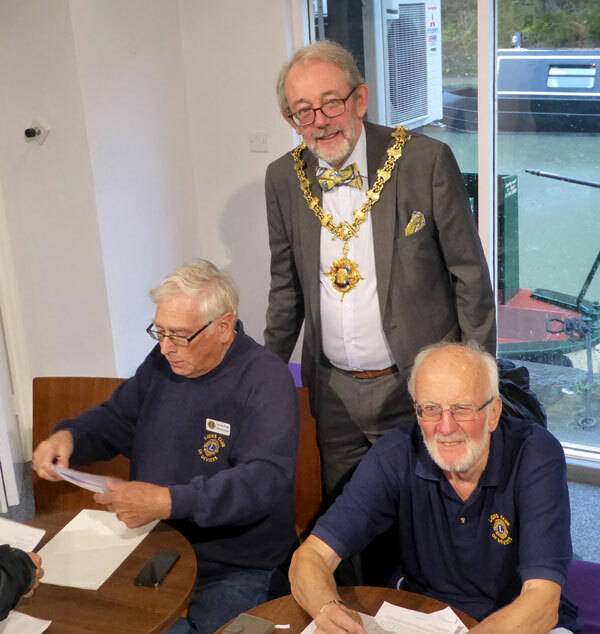 As well as fulfilling our charitable aims Devizes Lions Club is also a great social organisation where we enjoy fun and fellowship whilst supporting those that need our help. Here are some Lions enjoying a planning meeting! So now is the time to take this opportunity. 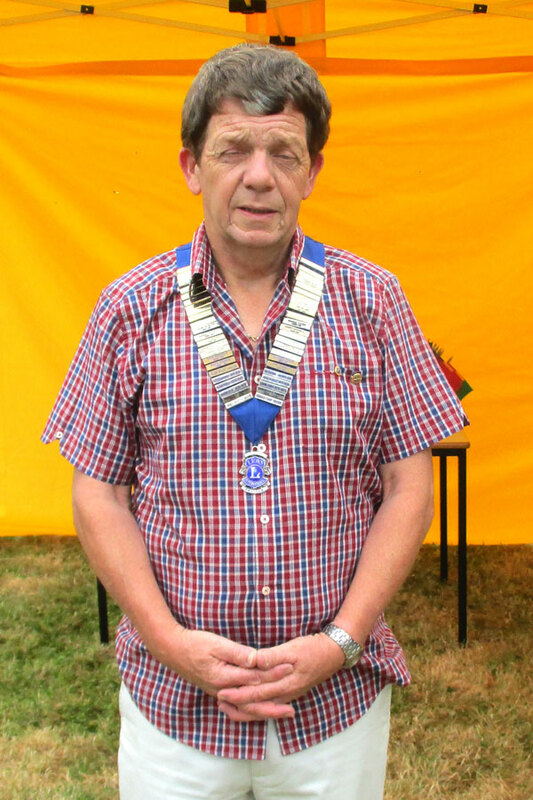 Devizes Lions' new President Andy Sheppard took over from former Lion President Robert Postlewaite at a handover luncheon on 1st July 2018. Andy's key message for the year is that Devizes Lions should adapt to and embrace change. It is my pleasure to be President of Devizes Lions this year. I have lived in Devizes all my life as my father and grandfather before me. I am married, I have three children and four grandchildren and have run a family business for the last forty years. I am passionate about our beautiful town and surrounding villages. We are so fortunate to live in such a vibrant part of Wiltshire. I have been a Lion for over fifteen years and this is my second term as President. I enjoy working with a group of such dedicated people and to tell you how much they all enjoy travelling around the town with the Carol Float at Christmas, or helping people enjoy the May Fair or Christmas Fair or helping groups raise their own funds with The sponsored walk or Swimathon. It is so rewarding being a Lion. Have you ever thought of being one yourself ?" Would you like to be part of the action? Click here: Find out more or Contact us. "Chase LOVED seeing Santa last night again, thanks so much to the Lions Club for continuing such a wonderful tradition that I can share with my child, that I remember doing as a child myself! Keeping Xmas magical." Cassie on our Facebook page. 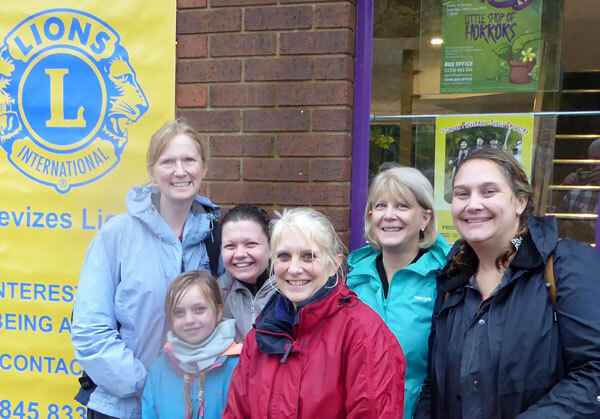 "Big Thank You to Devizes Lions for organising the sponsored walk; we've managed to raise over £1400 (and still counting) for Victim Support"
"I just wanted to take this opportunity to thank the Devizes Lions again for their continued support for First Stages. It means a great deal to us to know that our work is recognised, and we are very proud and grateful to have been among so many worthy recipients last week. The support the Lions gives to the smaller local groups is so important. Thank you!" Carole Berry. "The Monday Club would like to thank ... the Lions who have worked so hard to support us." Jackie. "The cheque given to us will help keep our club afloat and enable us to give our members some little pleasures." - Devizes PHAB. "It's all great news people! More then 500 kids took a part in sport weekend this year - I know, because I asked... I can see so many advantages, not only fun some of them will continue, for some of them it was perhaps the only opportunity to try some sports, more sport - better health! More 'inspired' kids - more 'sporty' adults in the future! All voluntary job by Lions Club, how amazing!" Asia K.
"My daughter has come back from a canoeing session, with Don Jones 's autograph! 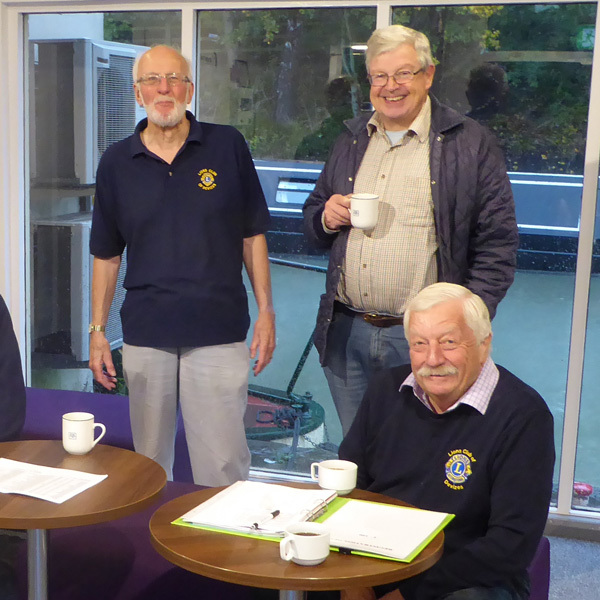 Chartered on 23 February 2014, The Devizes Leos Club is the youth group connected to the Devizes Lions. The word Leos stands for Leadership, Experience, Opportunity and Service. And for more detailed information about their activities, follow them on Facebook. Since it has been running, Leos' members have gained public awareness in the community, having held a number of fund-raising events including a car wash, race night, coffee morning and a country & western evening, and they have also provided invaluable help at events arranged by Devizes Lions . 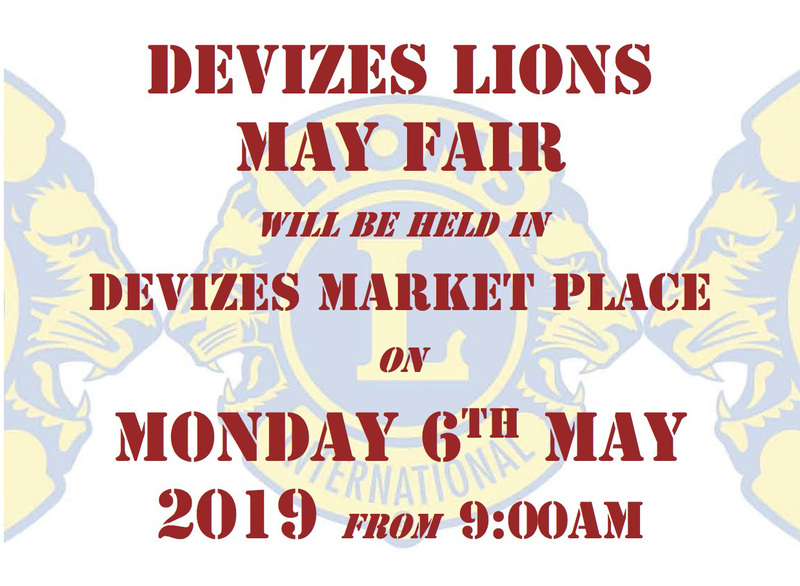 Devizes Lions will again be holding its popular May Fair in Devizes Market Place and Corn Exchange on May 6th 2019. The fair will be on similar lines as previous years, but enlhanced in a number of ways. In addition to trades & charities, a new class of stall is being introduced - for artisans who produce goods for direct sale to the public. 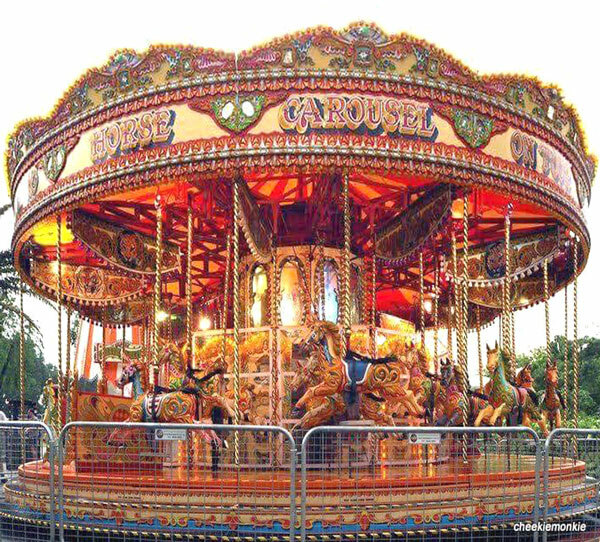 Full details of the Fair, including entertainments and other attractions, are being finalised and will be published here. Booking forms for stalls will be available early in January. They will be sent automatically to those who have taken part in previous years, but if the address or person responsible has changed since then, please let us know. Lion Chris Gillings, 5 Gaisford Chase, Worton, Devizes SN10 5RX, telephone 01380 725503. We are pleased to announce that, once again, Devizes Lions and the Rotary Club of Devizes are holding a joint Charity Golf Day on 8thMay 2019. 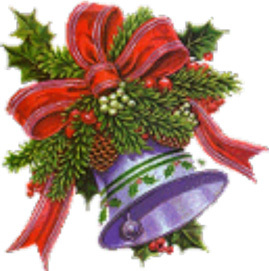 This year we are supporting Dorothy House Hospice Care. We hope that you will support this worthy cause by either entering a team or sponsoring the event. 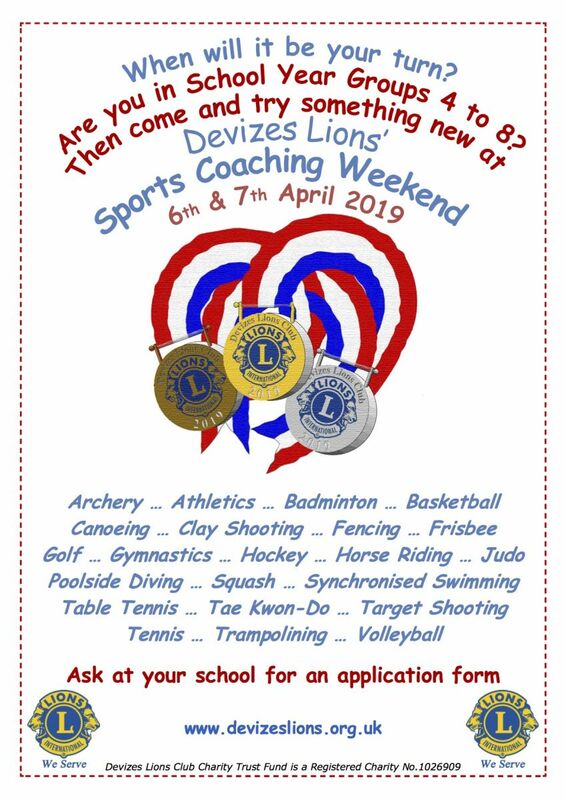 On Saturday 6th and Sunday 7th April 2019 Devizes Lions held their popular Sports Coaching Weekend where children in school year groups 4, 5, 6, 7 and 8 are invited to try one of 22 different sports that they might not otherwise have the opportunity to experience. Tuition was all provided by qualified coaches. Basketball, Squash and Target shooting, which all proved to be extremely popular. The Swimathon at Devizes Leisure Centre on Saturday 2nd March went very well and raised at least £3677.00 which will benefit the many organisations that took part. The total mileage swum was nearly 50 miles! 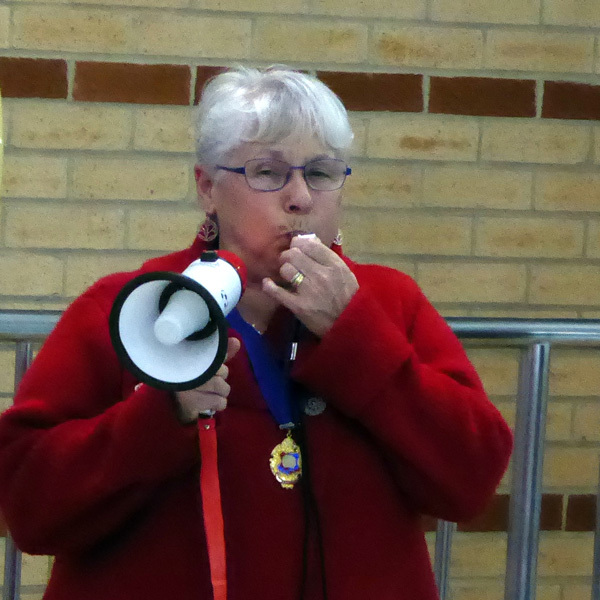 Many thanks to Cllr Judy Rose (Mayor Elect) (right) who started the event off with very loud whistle. A BIG WELL DONE to all of you that participated and very special thanks to all that sponsored them. Can your Fund Raising Team swim for an hour? 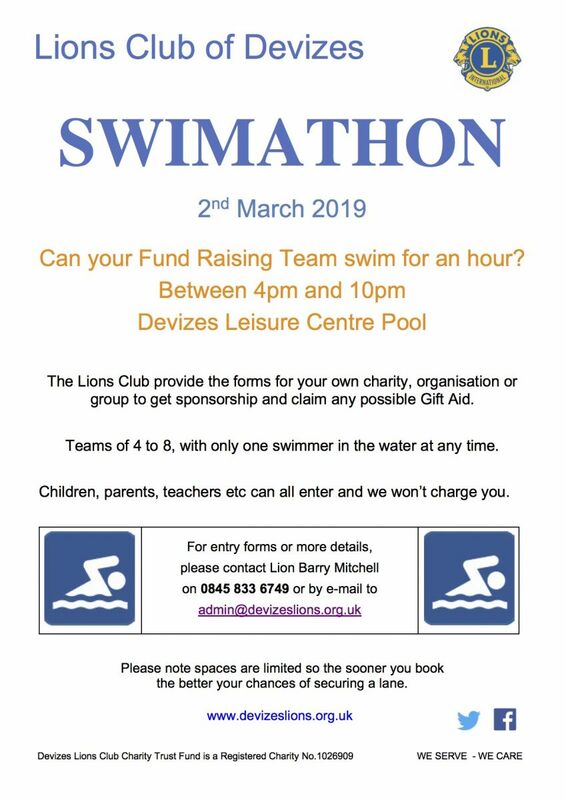 Devizes Lions annual Swimathon will take place on Saturday 02 March 2019 between 4pm and 10pm at Devizes Leisure Centre Pool. The Lions Club provide all the administration and forms for you to raise money for your own charity, organisation or group and claim any possible Gift Aid. Teams of 4 to 8 swimmers may enter, with only one swimmer in the water at any time. In 2018 Swimathon 2018 the organisations taking part raised over £5,000 for their various causes. WELL DONE! 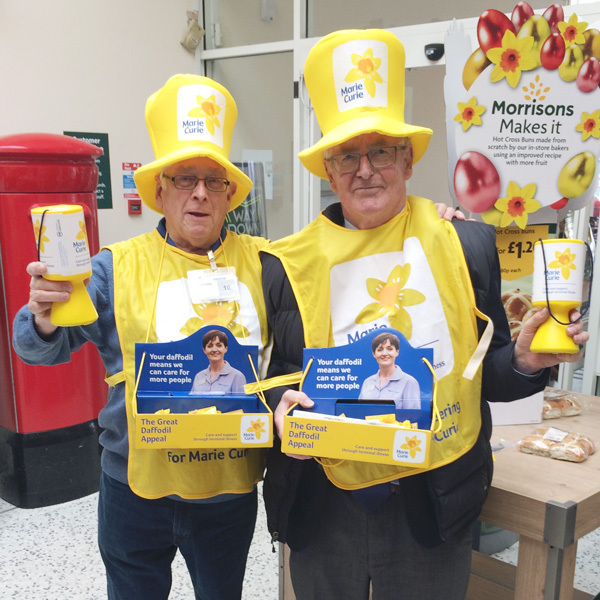 Devizes Lions collected £470 at Morrison's on Thursday 28 February for the Marie Curie Great Daffodil Appeal. Here are two of us in our silly hats helping this wonderful cause. 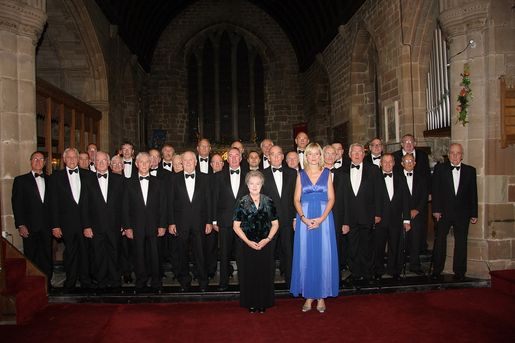 Ynysowen Male Choir was formed in the wake of the Aberfan disaster as a way of saying thank you to the world for the support it had shown Aberfan in its darkest hour through song. The event, promoted by Devizes Lions raised £2000 to support the Devizes Opportunity Centre who provide a world of opportunities for children with special needs and their families through high quality Early Years Education, therapeutic care and ongoing support. A really BIG THANK YOU to everyone that supported us this year on our tour of the town with Santa on his sleigh. 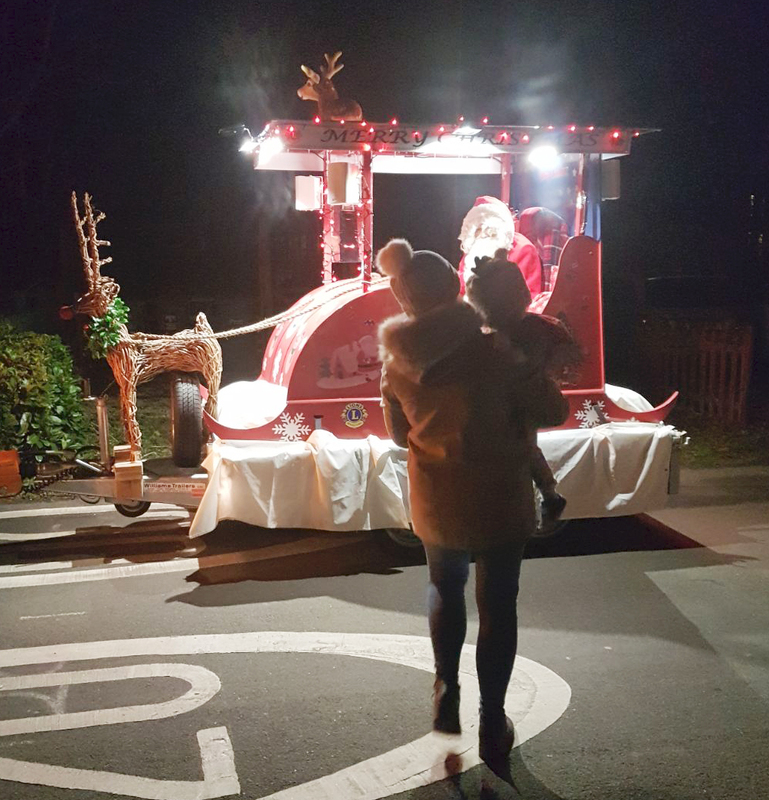 In the run-up to Christmas Devizes Lions' Santa's sleigh toured the town from 1st to 22 December with lights, music and Santa to entertain the children, hand out sweets and raise money for local charitable causes. After expenses, about £5500 was raised for the Lions Charity Account. Thank you all for your wonderful generosity. 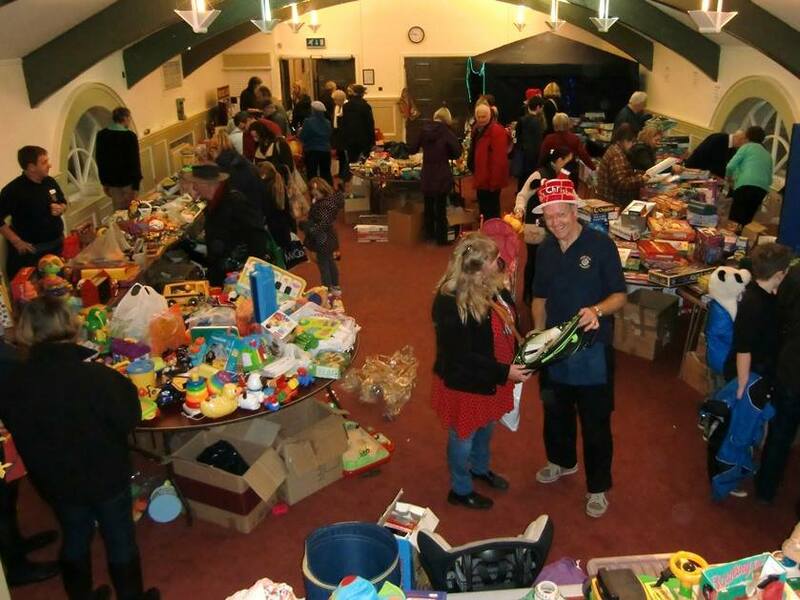 Devizes Lions Christmas Fair on Saturday 24th November raised over £9,000 after expenses that will be used to help local charitable good causes. AN ENORMOUS THANK YOU to everyone who supported the event whether by donating items to sell or by coming along and buying them. 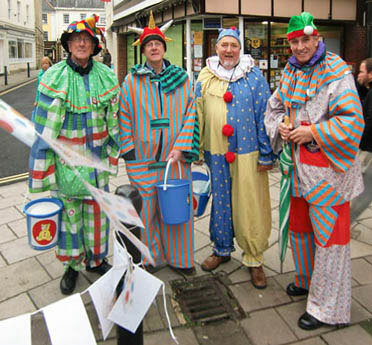 Devizes Lions were out in the Brittox with their buckets and dressed as clowns on Thursday 15th November encouraging people to donate to the BBC Children in Need appeal. The collection raised £357 which is being sent to the BBC's appeal. James Holland is a historian, writer, and broadcaster. The author of the bestselling Fortress Malta, Battle of Britain, and Dam Busters, he has also written nine works of historical fiction, five of which feature the heroic Jack Tanner, a soldier of the Second World War. He is writing a three-volume new history of the Second World War in the West and a book about the Defence of the Admin Box in Burma. Big Week is the knife-edged story of bomber against flak gun and fighter, but also, crucially, fighter against fighter, as the stakes rose higher and higher. Following the fortunes of pilots, aircrew and civilians from both sides, this is a blistering narrative of one of the most critical periods of the entire war, one that culminated in the largest air battle ever witnessed. It is also one that has been largely forgotten, but which has been brilliantly brought back to life by James Holland. It has just been published this August. In the six months up to its launch the bomber offensive was not turning out as planned by the Allies,. Raids by the US Eighth Air Force and the RAF deep into Germany were being decimated and falling far short of their intended purpose. With D-Day drawing ever-closer, that was a massive problem. The Allies needed clear skies to invade - the clock was ticking inexorably. Yet the Luftwaffe was also in crisis. Short of resources, of fuel, and on properly trained pilots, the strain on those still flying was immense, their losses severe. Despite the chaos of their leadership, they were achieving far more than should have been reasonably expected against the superior numbers of the Allied planes. 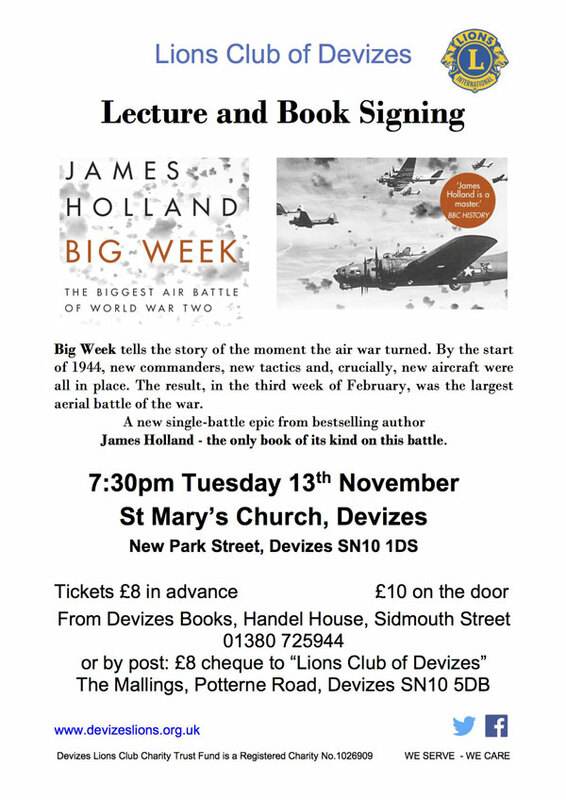 James regularly appears on television and radio, and has written and presented the BAFTA shortlisted documentaries, Battle of Britain and Dam Busters for the BBC, as well as the Battle for Malta, Cold War, Hot Jets, and Normandy 44. He is also an avid cricketer, and plays for both Chalke Valley CC and the Authors CC. Last but not least he drives a left hand drive Citroen Legere (equivalent to the Slough built Light 15). 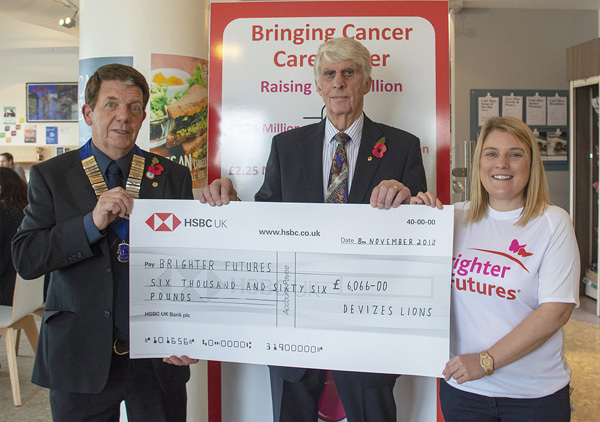 On Thursday 08 November 2018, the Lions Clubs of Devizes, Chippenham and Highworth presented cheques totalling £10,000 to the Brighter Futures appeal to contribute to the £2.9 million target which will be used towards the purchase of important clinical equipment within the new radiotherapy centre. Devizes Lion, Dr Michael Green, said that the Devizes Lions' contribution of £6,000 was the result of two very generous donations, of £5,000 from a member who had to travel for his cancer treatment, and £1,000, prompted by our President choosing the Appeal as his Project for the Year. 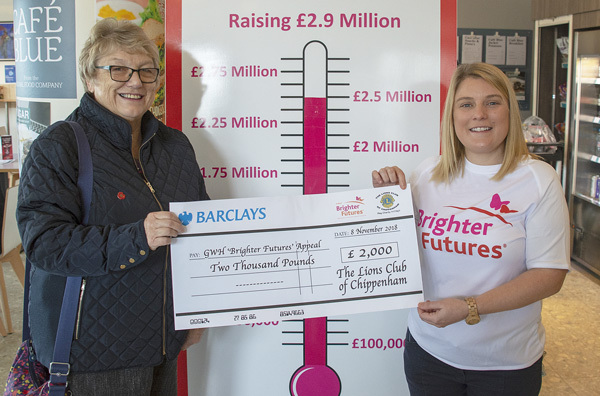 Chippenham and Highworth Clubs each donated £2,000 to the Appeal; a Chippenham Lion has recently been travelling to Oxford for radiotherapy, reinforcing the importance of this Appeal to our Communities. This latest substantial donation is in addition to money already donated by other local Lions Clubs, Highworth, Lechlade, Marlborough and Swindon Lions Clubs, totalling £8600. Catherine Newman, Head of Brighter Futures, said, "We are absolutely delighted to receive this extremely generous donation from the Lions Clubs. This donation will take us that bit closer to achieving our appeal target and we are very grateful to the Lions for their on-going support." BACKGROUND NOTE: In partnership with the Oxford University Hospitals NHS Foundation Trust (OUH), a new radiotherapy satellite centre is to be built at the Great Western Hospital (GWH) site in Swindon. Swindon and many areas within Wiltshire are one of the very few parts of the country which currently do not have access to radiotherapy services within a 45 minute travel time. At the moment around 700 patients a year make the 70 mile round-trip journey to the Churchill Hospital in Oxford for radiotherapy. Treatment usually lasts for a period of 4-7 weeks, made up of daily visits. Lions generously meet the needs of local communities and with each club knowing someone who has had to make the journey to Oxford to receive radiotherapy treatment they have chosen to support the Radiotherapy Appeal so that people in the future can be treated closer to home. Lion President Andy Sheppard and Lion Dr Michael Green present the £6,000 cheque to Lisa Utting, Donor Development Manager of the Brighter Futures Fundraising Team. 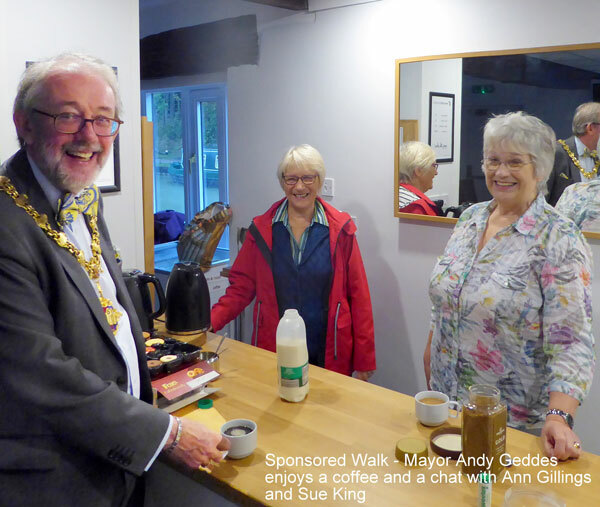 On Sunday, Mayor Andy Geddes, umbrella in hand, talked to many of the walkers taking part the Lions of Devizes annual sponsored walk before starting them off at 9.15. The Mayor and some of the intrepid walkers ready for the "Off"
Starting from Devizes Wharf, the route around Roundway hill takes about two hours to complete. Organiser Lion Chris Gillings (pictured right) said, "The rain was relentless throughout but that didn't dampen the spirits of the 75 participants who between them raised about £2000 for their chosen charities." 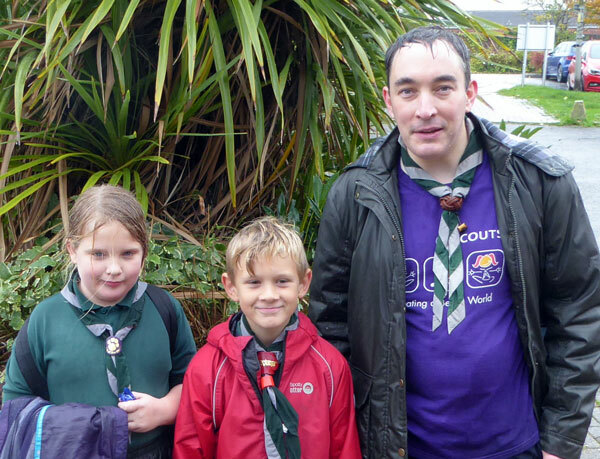 Some of the walkers, such as Scout leader Scott Coleman, aged 28, was there with cubs Theo Sharpe and Isabella Hughes. Scott said that he first took part in this walk 20 years ago when he also was a Cub"
Refreshments provided for all - the Mayor included! 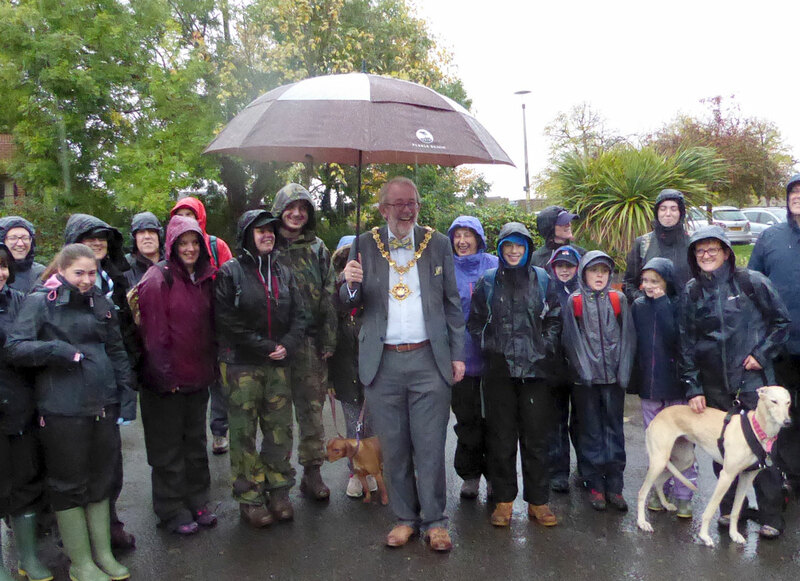 Congratulations to all that completed the walk and raised so much money, with a special thanks to the Mayor of Devizes, Councillor Andy Geddes who was there to encourage them and start them on their way. 24 teams of swimmers swam a total of 1539 lengths (nearly 40km) in Devizes Leisure Centre pool and through their own sponsorship raised over £5400. Swimmers were aged from 4 upwards with up to eight to a team; younger members did a couple of lengths while one scout managed over 80. They represented a wide variety of clubs and charities from Devizes area and this gallant effort will give a much needed boost to their funds. Devizes Lions encourage local youth groups to be financially independent by providing an opportunity to raise their own money. This year the Swimathon together with the Lions Sponsored Walk helped local groups raise well in excess of £12000 totally independent of grants and handouts. 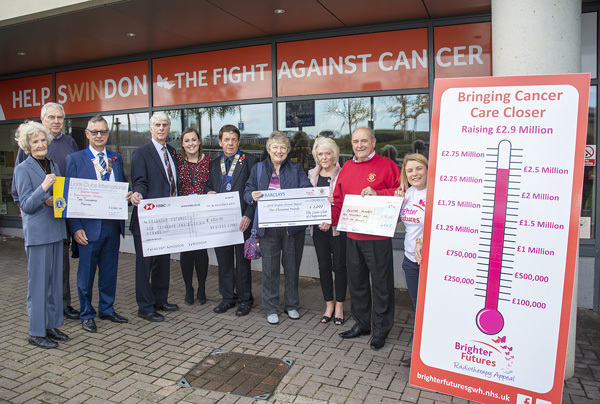 This year the organisations taking part have raised about £5,000 for their various causes. WELL DONE! 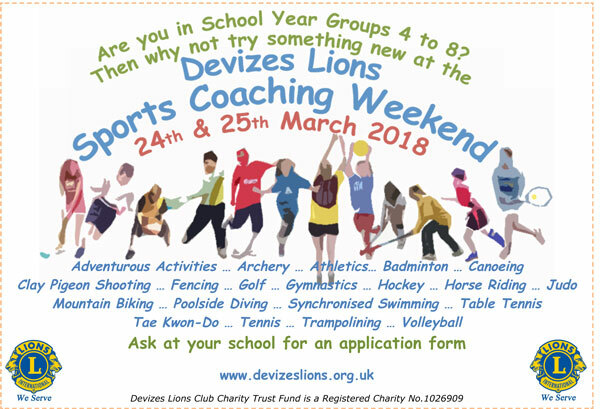 It was a another record breaking Sports Coaching Weekend for Devizes Lions when well over 580 children aged from 8 to 13 from twenty two local schools tried out a sport that they might not otherwise experience. Nineteen sports with qualified coaches were on offer. After 30 years of the event, many parents and some of the coaches recall enjoying the experience when they were youngsters! "My son took part in this weekend's sport coaching, participating in Archery. What a wonderful opportunity for all the children. Thank you so much for putting such effort in to making the weekend such a success. He really enjoyed himself and it gave him the opportunity to try something he ordinarily wouldn't experience. Please pass on my thanks to all the Devizes Lions and Devizes Archery club who made it happen. Without yours and their volunteering I realise the children wouldn't be so lucky. 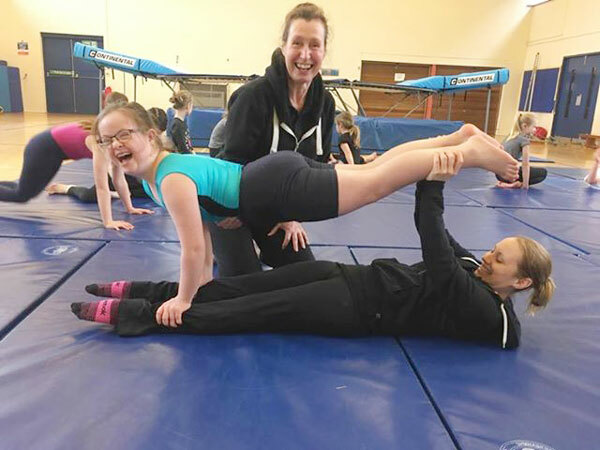 "Thank you so much for the coaching weekend, my daughter had a wonderful time at the gymnastics. She really did, as you can see from the photograph. Thank you again." " @Devizes_Lions, a big thank you for another amazing sports weekend. Table tennis was a hit!!!! 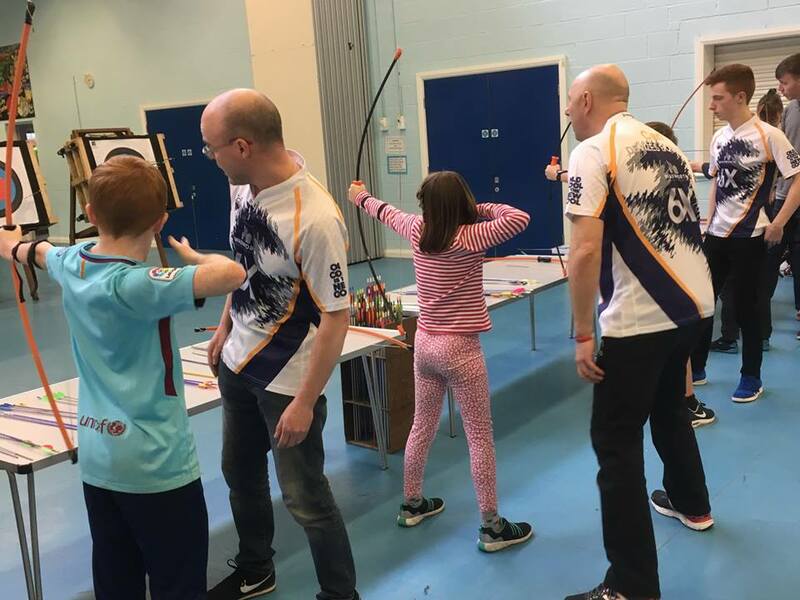 "Devizes Bowmen introduced and coached over 80 young people in Archery, at the Devizes Lions Sports Coaching Weekend on the 24th - 25th March. Big thanks to the Lions for organising this each year and to all those members who gave up their time to organise and coach this community event.... looking good in the clubs Wadworth sponsored shirts."